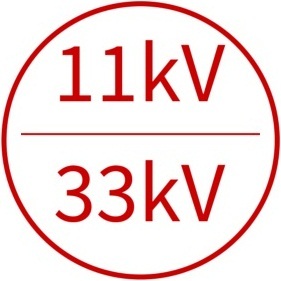 Pfisterer Sicon high voltage mechanical shearbolt cable lugs and cable connectors are suitable for copper and aluminium conductors up to 72kV. Pfisterer Sicon mechanical shearbolt cable connectors (lugs and connectors) feature stepless shearbolt technology for fast, simple cable jointing and cable terminating without resort to compression tooling - ideal for metric to imperial, transition cable jointing, dissimilar sized and type conductors up to 630sqmm. Pfisterer Sicon lugs and connectors are suitable for high voltage sector or round, stranded or solid, aluminium and copper conductors up to 72kV. Pfisterer’s Sicon mechanical shearbolt cable connectors are compact with rounded edges, ensuring all types of coldshrink and heatshrink joints/terminations can be used and smooth breakage of the shear bolt simplifies the connector tightening process for the cable jointer. Pictured : Pfisterer Sicon. 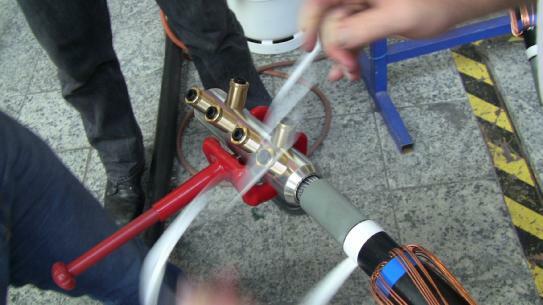 Mechanical shearbolt cable lugs and connectors provide reliable jointing and terminating of low, medium and high voltage power cables for 11kV and 33kV power cables.Pfisterer Sicon connectors are used to perform the connection while type testing Mosdorfer CCL cable joints and terminations at KIT Germany. Pfisterer Sicon lugs and connectors are the perfect partner for heat shrink and cold shrink cable joints and cable terminations - specify Sicon mechanical shearbolt connectors and lugs for faster, simpler and more reliable high voltage electrical connections.